The main criticism of gamification, from game designers, researchers and journalists is that it can be used to manipulate and exploit its subjects. A recent piece in the Economist echoes this concern. They compare many of the games beloved by the gamifiers, such as “World of Warcraft”, to slot machines, with rewards carefully doled out in order to keep players hooked. Gamification advocates acknowledge this hazard and offer strategies to avoid its misappropriation. But I don’t think they make our case forcefully enough. So I’ll state for the record that on the scale of dangerous things, gamification ranks somewhere around TV remote controls. I mean, you could probably bash someone to death with a remote control, but if you’re in the throes of a homicidal rage is that really the blunt instrument you’re going to reach for? By the same token, rewards and leader boards are never going to be the first choice of repressive methods for enterprises out to oppress their workforce. Can you say Feudalism, Industrial Revolution, robber barons, blood diamonds, human trafficking…? Employers, whether a single scrooge or a state-run economy, whether a legitimate business or criminal gang, have pretty much perfected the stick part of carrot-and-stick. What’s needed are ways for enlightened employers to motivate and engage their employees, to make their work more productive by making their tasks meaningful and even fun. Gamification fills this need and may even be the best solution, especially as digital technology and social media continue to expand and transform our lives. 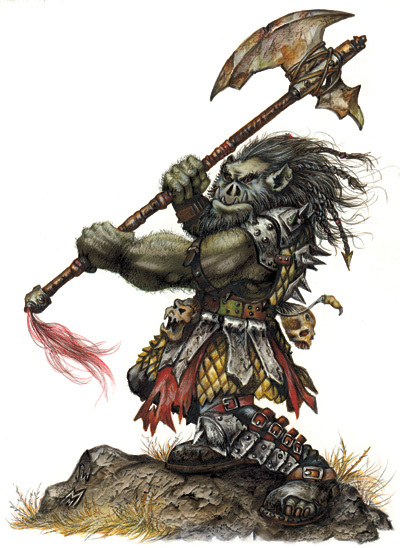 Our orc, on the other hand, hardly needs another hammer in his exploitation toolbox. Mark Schreiber is a full time novelist since graduating high school at the age of 15. He also engineered his sister’s bestselling writing career and started and run several businesses, including a solo medical practice. He’s currently interested in technological entrepreneurship in Singapore and Silicon Valley.